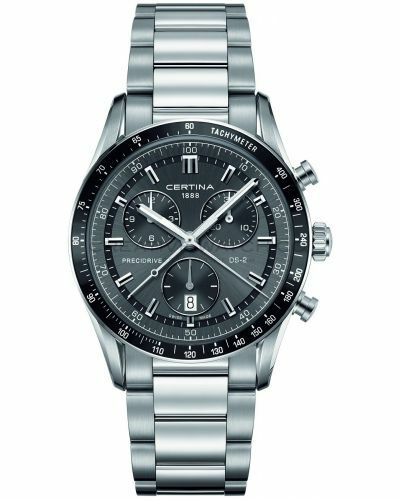 Mens Swiss made DS-2 chronograph precidrive wrist watch with a brushed black stainless steel round case. 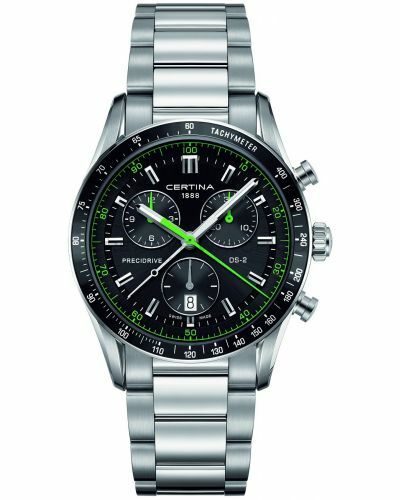 Has a black sunray effect dial with green highlights, applied silver batons, date window and three chronograph sub dials. 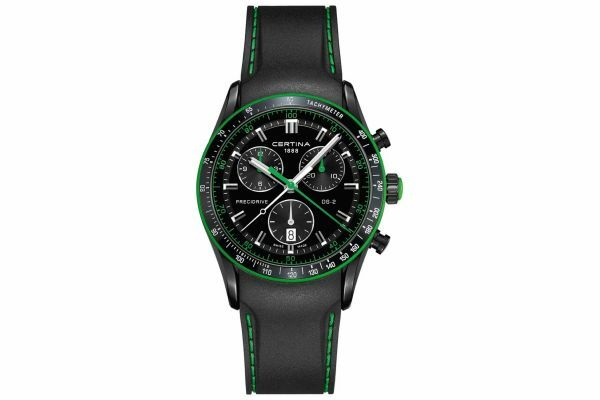 Has a matt black resin strap with green stitiching and brushed black stainless steel buckle. The DS concept range comes with a reinforced caseback, two o-ring gaskets in the crown, An o-ring gasket on the stem and a specific gasket on the case back. 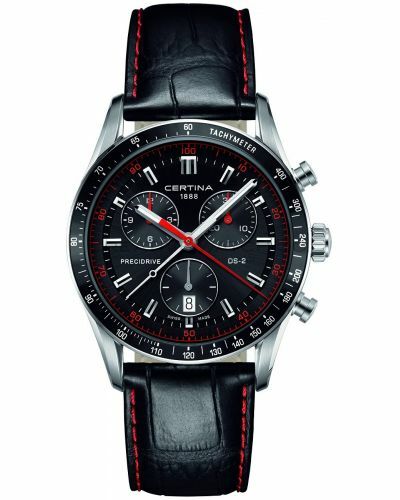 This makes the watch extreamly durable and can withstand high water pressures. 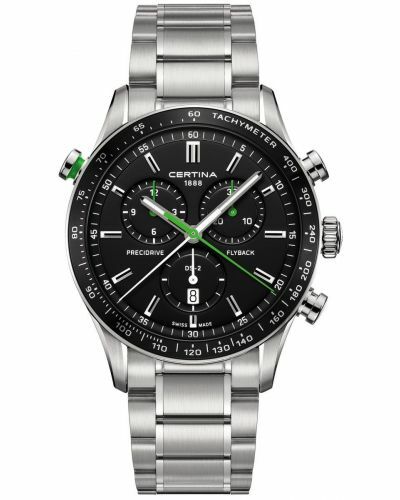 The precidrive quartz movement gives the watch precise time measurement which is more effecient than a standard quartz movement. For us to size your new Certina DS-2 Chronograph watch as accurately as possible, please take a look at our downloadable Watch Sizing Guide.